Steve Reeves stars in an Italian remake of the classic sword and sandal film: Thief of Baghdad. An adventurer must find the legendary blue rose, by passing seven tests. Once complete, he will save the life of a comatose princess. 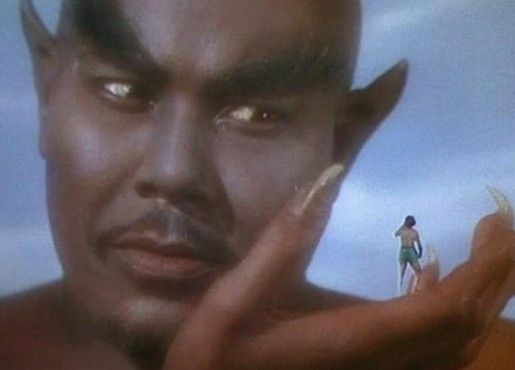 Out of all the versions of this movie this is my 2cnd favorite the version with kerwin Mathews & Sabu being my favorite. The silent version with Douglas Fairbanks is amazing also. But I along with many others am a fan of Steve Reeves the original Body builder turned actor who's body is its own special effect! This is the man who open the door for many to follow & at one point was Hollywood's highest paid actor! Good old Mr. Reeves was a champion of drug free body building & turned down the James Bond franchise as well as the Man with no name trilogy that Clint Eastwood picked up jump starting his career! Steve Reeves was very tired of the Italian film industry by this time & instinctually knew there wasn't much he could bring to the James Bond franchise & didn't believe the Italians could pull off great westerns. He did do one Spaghetti Western called " A long Ride From Hell" which was much better than he realized. But he was sick of being voice overfed for no good reason & working at a frantic pace & decided it was time to go home to Montana! 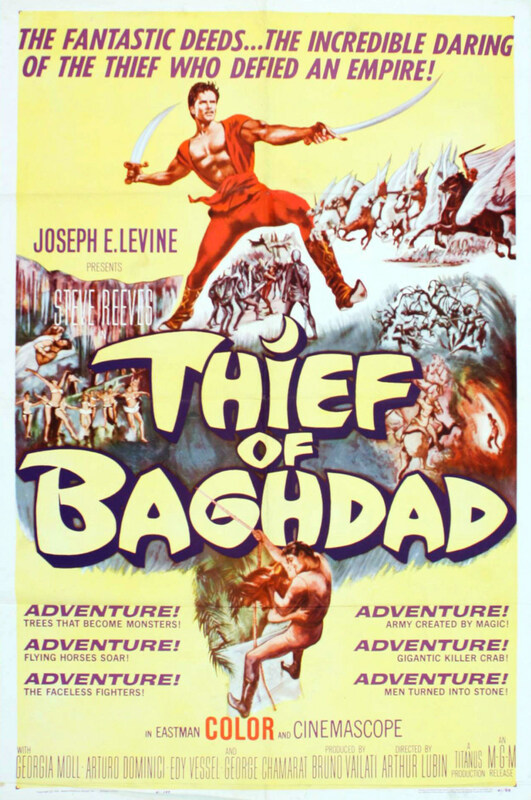 Steve Reeves version of " The Thief of Baghdad" A.K.A. " The Blue Rose" is a light hearted adventure into fantasy & a nice change of pace from the more historical driven fantasy " Sword & Sandal" films Steve did SOoo... many of! Mr. Reeves plays a thief with higher moral values than any of the other suitors for the princess's hand in marriage. This family friendly action adventure is nice escapist fantasy for the whole family...especially the youngsters, with its brilliant colors & not terribly scary monsters & more humor based violence this rare gem is geared towards a younger audience, but to my thinking that doesn't mean adults can't enjoy this on a rainy day with the kids. Its kind of funny but as Steve Reeves grows as a actor the more cloths he gets to wear...this by no means indicates his physic is any worse he is still a imposing physical specimen & remained so his entire life. Great film for the whole family!! !